Only 2 years young! Magnificient Custom Deluca Signature Builders 2-Sty Colonial. Features 4 Bedrooms, 3.5 Baths. Gorgeous setting, long winding driveway. 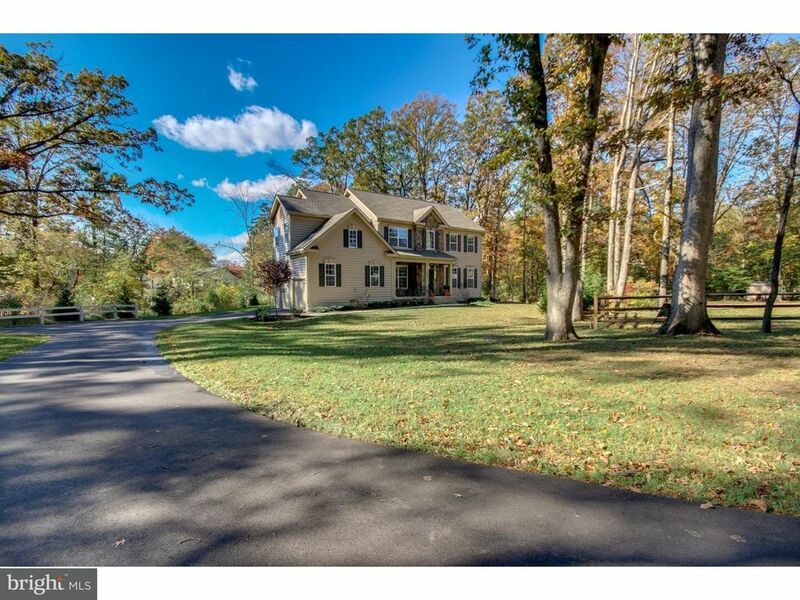 Home sits on 2+ acre wooded lot! Quality Construction 2x6 exterior wall construction 9'ceilings t/o first floor.2 story open foyer w/ Glistening Hardwood floors throughout first floor along with custom millwork. Gourmet Kitchen w/ upgraded appliance package, 42 Cherry cabinetry, granite counter tops. Kitchen with center island opens to Great Room with floor-to-ceiling stone facade gas Fireplace. Bright sunny Morning Room w/sunburst window & sliders to Pressure treated landing.Custom Crown molding in LR & DR Custom recessed lighting T/O First floor.Mudroom laundry room and powder room off of Kitchen with exit door to 2-car side garage. 2nd floor hallway leads to Master Bedroom, dramatic Tray ceiling, two huge walk in closets. Luxury Master bath with separate vanities. Separate shower and platform tub, ceramic tile floors. Huge 2nd bedroom with full bathroom. 3rd & 4th Bedroom nice size with terrific views. Full poured concrete walls in Basement plumbed for future bathroom. Custom Blinds T/O, Large custom shed. This is a beautiful home with many more upgrades to view on a much desired street of Warrington. Award Winning Central Bucks School District! Major shopping,Valley square,10 minutes to train into center city and all major hospitals.